Environment Canada says snow squalls possible off Georgian Bay continuing through Thursday. Winds are expected to shift to a more westerly direction this afternoon moving the snow squalls southward as a result. 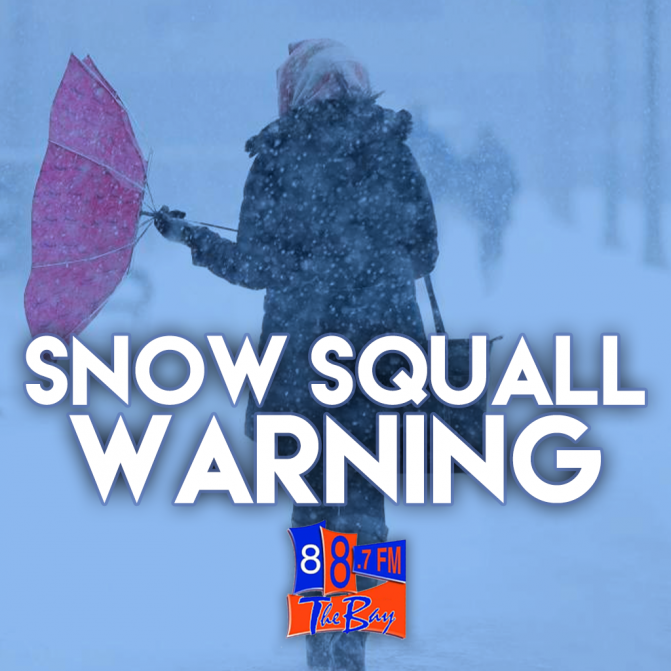 The snow squall activity should begin affecting the Bracebridge, Gravenhurst and Midland areas late this afternoon and the Orillia area this evening. Snowfall amounts in the range of 15 to 30 cm are possible, particularly in areas where the squalls become stationary. Areas of blowing snow giving reduced visibilities and blizzard-like conditions are likely as well.